In the midst of the opiate epidemic that is literally killing Ohio, the jails are always full. This has been a boon for the economy of Ohio's smaller cities. Good paying jobs with benefits have been created for Police, Guards, Lawyers, Judges and Clerks just as manufacturing jobs have moved overseas. Non-profit jobs have been created in the rehabilitation industry for the explosion of faith-based residential “recovery” centers that eschew science for something called “deliverance.” The ever expanding incarceration boom has lead to a wave of jail construction and expansion, giving work to out of state non-union construction firms which parcel out a fraction of the work locally. The flagging hospitality industry receives a large boost through subsidized maggot ridden meat from Aramark (NYSE: ARMK). The tech sector in Ohio also benefits. The legislature's new “third frontier” initiative to base greater Dayton's economy around drones has experimented with sensor laden blimps over Ohio prisons. However some tech companies make money the old fashion way: overcharging for phone calls. 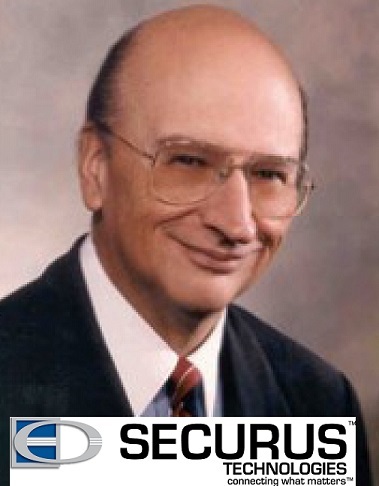 Meet Securus Technologies, currently owned by the New York private equity firm Castle Harlan. Securus provides inmate phone services to 49 Ohio county jails, six juvenile detention centers, three regional facilities and a US Marshall holding facility. That is 55% of Ohio's adult jail population. They are also the second largest prison phone provider in America, turning a tidy profit on it's $404 million in revenue in 2014 from their operations in 2200 facilities in 44 states. They are the only technology company in Castle-Harlan's portfolio and the cash cow with the most expansive operations. Securus has a business model that gains them an estimated (based on incomplete government census reporting) $698.12 per Ohio jail inmate “served” yearly. This revenue stream is equal to the annual bill on two cell phones with unlimited talk text and data from Boost Mobile for every one of the over 21,000 “customers” in their literally captive market. More then half the county jail inmates in Ohio are not sentenced inmates but persons awaiting trial or sentencing. This is how it works: Inmates or their families by calling cards or billing plans. Inmates spend $15 per calling card which buys one fifteen minute call and one ten minute call. Families purchase plans which allow them to receive calls for a minimum of $25 and with a $15 charge for a $15 minute call. The connection fees on both are $2 with an additional charge of $1 for the first minute and $0.85 for each additional minute. If the call is dropped or the audio is poor, calling back incurs the connection and first minute fees. Families giving money to inmates so that they can contact attorneys pay $5.95 surcharge to a separate company to place money on an inmates books if they use a credit card on the internet or they can pay the jail a $3 fee if they do it in person. Thus 25 minutes of phone calls from jail to a lawyer can cost as much as $20.95 and must be done in two sessions. Money left on family plans after and inmates release is simply kept by Securus, although repeated complaints may secure the promise of a check within 90 days. The internet is rife with consumer complaints of Securus's “the check is in the mail” type promises being eternally unfulfilled. Until late October 2015 these rates were even higher with inmates paying a flat $15 for a single up to 15 minute phone call, not counting the $5.95 or $3 it costs to credit them the money. That's when the FCC ruled against the prison phone industry practice of over charging. Securus and their main competitor protested vociferously, claiming that their system costs more so that inmate calls can be monitored for security reasons, "Today, the FCC made a colossal error in judgment, law, and public safety and policy." They vowed to sue the federal government so they can return to charging jail inmates, who have not even been convicted yet, even more than $0.85 per minute with hefty front end fees. Recent reporting by the Intercept has proven both of these claims to be outright lies. The Intercept received data dump of 70 million logged phone calls from prisoners through Securus's system from an anonymous hacker. At the time of their article, at least 14,000 of these recorded phone calls were between prisoners and their attorneys, in clear violation of basic Constitutional Law protecting conversations between a criminal defendant and their attorney. After the release of information by the Intercept, Securus used the business friendly International Business Times to claim the leak was from a rogue employee ““At this preliminary stage,” the company wrote, “evidence suggests that an individual or individuals with authorized access to a limited set of records may have used that access to inappropriately share those records.” When an employee anonymously reveals criminal wrongdoing by their employer they are referred to as a whistleblower as opposed to a “rogue” by any responsible publication with basic human rights literacy. In at least three county jails in Ohio, calls made on the Securus system are routinely disrupted by seeming equipment failure. Logging of the times of dropped calls was done by inmates who spoke with The Mockingbird under the promise of anonymity because they feared retaliation by guards. The dropped calls happen during all shifts and to many different inmates, thus ruling out arbitrary or capricious interference from jail staff. The pace of dropped calls has increased since the FCC ruling suggesting that Securus feels it needs a revenue enhancement. An estimated 42 percent of Securus's revenue is handed back to the jail or prison they serve in a complicated contract that the Intercept refers to as a kickback scheme. This kickback scheme allows more guards and more beds and therefore more prisoners to have more dropped phone calls. When coupled with the number of people of people who will be wrongfully convicted due to the violation of their attorney – client privilege because of Securus's “monitoring” or unable to mount an effective defense due to dropped calls, a very profitable positive revenue feedback loop has been created. This positive feedback loop guarantees jobs for prison guards in 55% of the counties in Ohio. Complaints of dropped calls, although increasing at least in Ohio in recent months, have plagued Securus for more than a decade. Securus was originally formed by the merger of two companies, Evercom and T-Netix, in 2004. Evercom became the dominant part of the partnership and was the source of many complaints and dropped calls. The merger came after both companies were acquired by HIG Capital in a move by Managing Director Brian Schwartz. Schwartz was in attendance at the famed 47% luncheon speech given by Mitt Romney were he derided the half of the country he believed should not be permitted to vote. Schwartz was also one of the three HIG Capital Directors that served on the board of Hart Intercivic when the former fronted money for the Romney family to purchase the latter, the nation's third largest manufacturer of voting machines. Not to be outdone by HIG Capital in political manipulation or by his underlings at Securus in kickbacks, John Castle spreads the money filled suitcases around both the nation and Ohio to assure his continued ability to reach deep into the pockets of America's poor. He gave $124,800 to the Republican National Senate Committee in 2013-2014 and an additional $42,400 to the plain old fashioned Republican National Committee during the same cycle. At the state level he gave $55,000 to the New York Republican Committee and despite living in sunny Florida he found thousands of dollars for the recent re-election campiagn of Ohio Republicans John Bohoener (former speaker of the House), Josh Mandel (climate change denier and State Treasurer) and of course Governor and failed former banker John Kasich. With it's system of patronage, kickbacks, price gouging and surveillance firmly in place, the finger breaking dinner tab dodgers at Securus will be overcharging Ohio's citizens for many years to come.